HDFC Bank has recently added a new credit card to its portfolio under Diners Club network called “ClubMiles”. Design front, the card looks identical to the HDFC Diners Premium Card with the only difference being the card numbers printed are gold in colour. Having a look at the features and benefits, its a nice card that comes with 2.6% reward rate when redeemed for Airmiles/hotel points. Lets have a look into it in detail. So the only major difference i see between Diners Premium and Diners Clubmiles is airmiles redemption that gives 2x value on Clubmiles than premium. So HDFC created a new card just for 1 differential benefit, Seriously?! They could have gone with this easily by placing one line in their redemption page of diners premium for Airmiles. Anyways, it might be different scenario for the Bank as its easy to trick customers with the “miles” name on card. It always works for banks that way, as i’ve seen my friends holding HDFC Allmiles thinking its a premium travel card! Great strategy for banks to target travellers. Note: All 10X points and other offers are valid on Diners Clubmiles like any other Diners card. Its still a reward points card, so we may expect this card on most 2x/5x/10x promotions. The max cap on bonus points is same as Diners Premium for all. All these transfer partners are also available with other diners cards which was added very recently to their transfer program. The intention to add Hotel loyalty program is good, but Trident?! I explored Trident loyalty program benefits and its not so exciting. Just with 10 hotels in the country, its very tough to make functional use of this benefit. It looks like Trident is working hard to promote their loyalty program recently as they also got in tie up with SBI cards like elite and prime as well. But Hyatt, Starwood, IHG .. Where are you guys?! So who needs Diners ClubMiles Credit Card? If you’re stuck with Diners Rewardz and unable to upgrade to premium due to eligibility criteria, now you may get ClubMiles which seems to be easier due to relatively low income criteria. If you’re stuck with Diners Premium and unable to upgrade to Diners black, you may now get Clubmiles as it gives 2X more value on Airmiles redemption. Note: If you are the person who spend less on 10X partners and redeem your points for JPMiles, you can get better reward rate with HDFC Jet Airways co-branded cards instead of Clubmiles. HDFC Diners Clubmiles stands between Diners Premium and Diners Black and is for sure a great credit card for travellers who can’t get hands on Diners Black. With 2.6% reward rate on transfer partners, it can certainly be put in the list of premium credit card for travellers. And not to forget, Diners Club Credit cards acceptance is still a concern, especially in foreign countries. In domestic, the acceptance is far better even in non-metro cities. I still wonder why HDFC is not working out on a whole new card for years. What’s your take on HDFC Diners ClubMiles credit card? Feel free to share your thoughts in comments below. I have Regalia first with 1.8 lakhs limit. Can I get Diners Club Miles ? Regalia First is one step below. So you can apply for upgrade with LE and it has to go through. I have a LTF Diners Premium. Is it worth giving up the premium and asking for the Club Miles? Was wondering what would I miss out on, if I give up the diners premium. You don’t loose anything. But you might need to wait and watch for few weeks as to how this works. They may or may not have new rules/benefits added in coming days. we never know. Yes, Diners acceptance is very poor internationally. Good to know about faster posting of 10x bonus on intl txns. Yet to check what’s happening on my A/c. Same here i got my points for international transaction at the start of December. its really useful as i am looking to make booking using reward points. Another weird thing I found recently is the diners cards are NOT working in HDFC Machines itself …. It happened twice for me, no matter you dip or swipe the card, there is definitely something fishy about this card acceptance…. I think some merchants opted out to accept Diners due to high charges just like Amex, may be in that case even if the swiping machine is HDFC, internally acceptance might be controlled ….. Any idea? Have you faced similar situation? I’ve faced it twice and was said that Diners network was down at that time. You are on tome something. My own statements with both DCB and Infinia seem to indicate that 10X with even smartbuy and 5X are getting credited in the next statement itself, not 90 days as the Bank promises. Lets not advertise this too much tho’. I think it still depends on how miles are going to be used, in case of jet, just for instance from Chennai to Paris if the cost is 25k then the miles required is 50k, the higher class you go better is the utilisation. This card maybe useful for those who fly in upper class. Yes, Airmiles game is for those who wants to redeem for biz/first class tickets. @Sid – I already have HDFC Regalia with 5.1L Credit Limit… I can apply for this new card too?? HDFC allows two Cards ?? Dual card: Totally depends on your NRV. Hi, dont you think 2.6% airmile rewatd rate is misleading as in vistara for 4000 miles one gets a revenue ticket costing around rs.2000-3000. So the reward rate in terms of ruppee remains same ir slightly better. Or am i wrong? That’s how i rate it considering where/how i use them. But yes, Vistara is totally different which i’m yet to explore. In most cases, you can get Rs.1 value or more and as always, when it comes to flights, we got to compare Biz class fares and not economy. You don’t need Biz tickets for Re. 1 valuation, unless we’re talking JPMiles or something. Since they have Avios now, you can very well get Re. 1 valuations on domestic flights, at least if you are travelling within Asia. JPMiles, coach tickets to HK — 32000 miles. Use Avios to book on Cathay coach — 12500 Avios. Yes, that’s how much devalued JP miles have gotten in a few years. Addition of Avios has brought back a lot of life in Diners program. The only problem with Avios is when you go westward, because Heathrow taxes are very expensive. But then, it is still 3 times as valuable program as any of the other partners. Especially the devalued JP. All my views are based on the JPMiles redemptions. Yet to explore Avios and its partner airlines. And “Cathay coach — 12500 Avios” seems to be great value! Looks like an attempt to placate relatively higher end of Premium Card customers with the card having been significantly devalued. On the positive side, if the Indian Diners Cards could introduce Diners/Discover US’s international transfer partners (Hyatt and a few international airlines partners) it could become an even more awesome card. Certainly! Hope they keep adding more partners. Discover US does not transfer to World of Hyatt points. I see no such option. I can buy a Hyatt gift card though. Diners in US at least have completely different reward and redemptions structure that has nothing to do with Discover cards. I checked the website and Hyatt is not a Diners US partner as well. Where are you seeing this? Also, except for Avios, most of Diners US miles transfer partners are local US airlines. Given the current 3X promotion, if Discover Us transferred to Hyatt, it would be a riot. As Hyatt points are great value on Cash + Points deals. seems hdfc doe not allow non account holders to apply for cards . not sure whats the reason.. They do. Check with right person. Branch guys may want to get some incentives so they always push for accounts. I’m having DCB with 8L limit, can i get DCB Jet Card by sharing the limit ?? It can be easily get me Jet Platinum Status… Will HDFC provide both like other banks do ? Problem is neither branch guys or customer care guys are aware of dual variant cards. I don’t know whom to contact for this. Both says HDFC doesn’t allow more than one card per customer. Ah. Talk to BM directly as you must be holding good NRV with bank. I requested through my RM. He got the approval for dual cards from the credit card team. I’ve tried twice by sending a request letter to chennai address, but was not successful. Depends on the customer care guy you get over phone. I was guided twice to apply through branch. But I didn’t had any such relation with HDFC during that time. I’m not sure why HDFC isn’t switching to contactless enabled cards faster. I saw a Regalia card in the wild a month ago with the contactless symbol, and HDFC seems to have added the text to its page as well as one of the Jet card’s photos, but for no other cards. (No Regalia First or either of the Business Regalia variants). Could you maybe do a short article about HDFC NFC cards? Maybe the transition to contactless is taking longer than expected. I found zero terminals with contactless enabled in past 2 months. You barely see them outside big cities, but in Bangalore I see contactless terminal in the wild at every other restaurant/bar/shop. You also see a lot of Axis Bank + Samsung Pay branded terminals that are contactless – I think HDFC is lagging behind compared to the other large banks. Up to 6 Complimentary access to 25+ Domestic Lounges within India and 700+ Lounges Worldwide in a calendar year. Hi, I hold a Diners Premium currently, LTF. Any ideas on how to switch to this card? I’ve heard they are discontinuing Premium and Rewardz cards. If that’s the case, and as this card costs as much as Rewardz, I’m thinking they will probably upgrade all Premium/Reardz customers to this one? I don’t think they would discontinue anytime soon as they changed the design just few months back. Yes, this seems to be happening but I don’t think they’ll upgrade existing cardholders (till much later, if at all); merely stop new issuance for Premium/Rewards. Is it better to upgrade to this Diners Clubmiles card from Regalia First enroute to Diners Black or Regalia/ Diners Premium will be better. Regalia/ Diners Premium/Clubmiles are all on same range considering its redemption rates on diners site. So anything should be fine. Checked multiple sites and notice you were the first to comment on this card variant. Nice detailed review and I do hope there are more in store for this promising card. Is it worthwhile to upgrade from HDFC Regalia LTF with 2.5 lac limit to this variant? It depends. If you’re into Miles game, yes! Just discovered another high end credit card, this time from ICICI called ICICI Diamant Credit Card. It is premium and requires 50LPA. Do review it. Like last time (when I shared YES Private CC), you could decide to not post this comment. Just wanted to share this info with you. As always, very happy to see you back on the site. Feels homely. 😂 Agree! I do have similar thoughts on some of the other supposedly high-end cards too ..
A generic note Sid, I feel we extensively discuss only about the RPs, Cashbacks and Miles in your blog whereas there is lot of rarely sailed waters that most of don’t use (E.g: Roadside assist from Indus, No cash advance fee on RBL Supercard, Golf lessons (on lot of cards), Concierge experiences (Amex/Citi/Diners etc.) and lot more) and all of us would love to share and know about. Wouldn’t creating a separate article about “Unique Experiences” be interesting. My hdfc moneyback card with 1.8lak limit was not upgraded till now. Regelia First is easy to get with 1.8 limit. Narendra try for regalia first and then regalia. Bye Siddhartha..yours was the first review I read on the diners club miles card…thanks.my query is diners club premium annual fee is rs 2500 and club miles card is rs 1000..but still for airline partners club miles is giving 1 RP=1Re…and all other features are same of 10x on select partners..how is this possible.. Instead of looking which is higher variant, just see which gives max value to you and take accordingly. I think its just an introductory offer. They may soon raise the price to 2500 /- for Clubmiles card. The proof is here — Go to HDFC bank website – Select “Forms centre” at the bottom of the site – Select Credit Cards – Select pdf download “Application for Card Credit Limit Increase / Card Upgrade – Classic & Non-HNW Customers (Customer Version)”. Here they have mentioned as 2500/- for Clubmiles. There is also a method to have this card LTF. I recently requested an upgrade from Rewards (LTF) to Premium. They agreed to give me an LTF card if I register for Smartpay for any of my utility bills. I upgraded to Diner’s premium in August after using Rewardz for around 6 months. I saw that HDFC has removed Rewardz and Premium from the Product page (you only see them when you hover on Products, but not in the products page). Also launching Clubmiles seems like an attempt to sell more cards to a larger population by decreasing the price and eligibility. Does this mean that they might launch some more new cards in future as right now they have only 2? Will it be safe to change my Premium to Clubmiles now? Someone recently reported that they were able to upgrade to Premium. So i’m unsure if its really gone. Yes, switching to Clubmiles is a good idea if you plan to redeem points for airmiles. Otherwise, its all same. I’m only worried about them launching a new better card in coming months. If I switch to Clubmiles now and suppose they launch a better card by February, will they allow me to switch again, after holding the Clubmiles just for 2 months? As you know 6 Months is required for switching! The official site has been updated I think. Spend Rs. 1L in 12 Months and get Renewal Fee waived for next renewal year. Yes, it still is. Reward rate is on par with Regalia when redeemed on HDFC portal. Also, 10X promotion on Diners. Ya but 10X offers on Diners does not include Amazon, or other travel sites where one could really earn some points. I still have access to 10x through Smartbuy with my regalia first cc. Wondering whether I should take the effort to upgrade to DCmiles. Yes you should definitely upgrade to Diners as reward rate is Re0.5 vs Re0.3 on Regalia First and you also get 10x on other partners and international spends.. So for every Rs.150 spent on 10x partners, you get 40 airmiles? Assuming 1point = 1mile. Or the 10x points don’t apply to airmiles conversion? Yes, its pretty much close to Diners Black. hi siddhart can you plz explain about 26% .I m Confused a=now as you told it is not good for economy booking stil the 26% looks atttarctive ?? @Siddharth: I see diners premium removed from the site. What is the plan for existing customers? Auto upgrade to club miles? What if we upgrade to club miles? What is the rewards conversion rate? For a BOM-DEL economy flight on Vistara you need 5000CV points which can be earned by spending around 20000 on 10x partners (40 points on 150 converted into 40 air Vistara CV points). Jet privilege has 10000jpmiles for the same sector. So for this card the redemption is better if done on Vistara than on jet airways right? Jet’s JPMiles is a poor loyalty program IMO. People stick with it because it was the only proper one available. Now with Vistara expanding fast, JP has to pull its socks. 1. Avios of BA for Cathay Pacific routes. I think we need 12500 avios to Hong Kong from India. 2. Singapore’s Krisflyer miles. Takes 18500 miles for MAA-SIN. Krisflyer miles can be used for Star Alliance partners like Air India. Krisflyer miles can be almost valued at Re 1 per miles for Singapore or Silk redemptions. 3. Vistara like you illustrated. Can even be redeeem for much lower miles for economy to premium economy. Heck, even Eitihad Guest has better redemption than Jet’s JPMiles particularly for business class redemptions. Now HDFC Diners ClubMiles cc eligibility requirement page says 40k pm salary or 4.8 lacs pa.
Also annual fee waiver on spends above 1 lac only. I think they have reduced the criteria by quite a bit. Please update the same. @ Siddharth:HDFC diners club miles or city bank travel miles card ? Premier Miles transfer ratio is 2:1 whereas it is 1:1 for Clubmiles, so that definitely scores for me. Also Diners has 10x in partner merchants whereas PM gives 10 RP per Rs. 100 when booked directly with any airline. 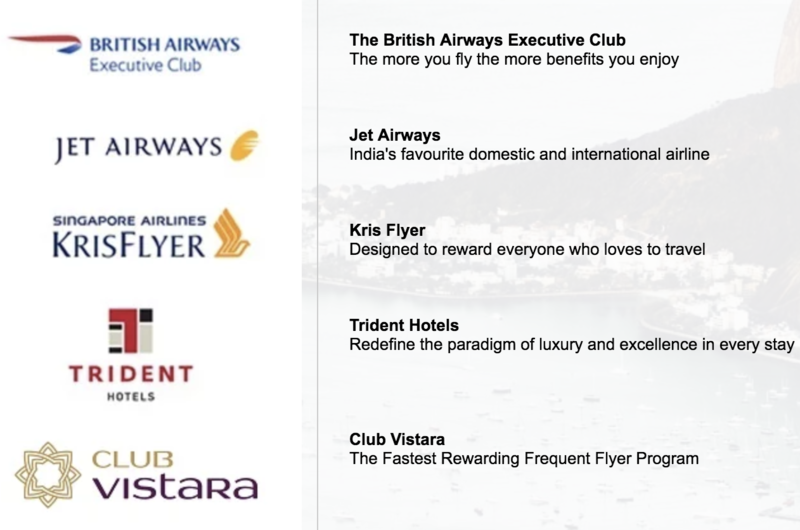 Clubmiles has Vistara as a transfer partner in addition to Jet, AI and British Airways whereas PM doesn’t have Vistara but many other international airlines. Guess I’d go for Clubmiles- though Waller loading and EMI won’t earn any miles. Hi. Is it worth upgrading from premium to club miles ? I’m using diners premium card for past 1 year (spent more than 5lacs) and I wanted to upgrade to black version. In my netbanking site I’m getting option to upgrade to club miles. So, my question is to get diners black card should I first upgrade to club miles and wait for around 6 months to get an upgrade to dcb. First try to send upgrade form to chennai for black and wait . If it is rejected then apply for club miles. Salaried	Age : Min 21 yrs & Max 60 yrs. Income : Net Monthly Income > Rs 30,000 per month. Self Employed	Age : Min 21 yrs & Max 65 yrs. This is what worries me. I want to upgrade to this card, but the requirements are even lesser than regalia first (which I hold currently now) even though reward point benefits are better than the regalia first. Only drawback compared to regalia first is that regalia first offers complimentary international priority pass visits. Even when I called the credit card guy in my nearby HDFC branch, he said that diners club miles is a lower credit card than regalia first. I hope they are not planning to devalue it to the rewardz level. Based on the redemption chart, currently, it is at par as the Regalia which is higher than Regalia First. Diners Club is not as popular as the Visa / Mastercard and this may simply be a tactic to get as many people on board as possible since such easy access to a premium card and waivers can make people less hesitant to take the plunge and try it atleast for the year. I would say go for it, if it is devalued, you can always move back to Regalia. In Fact, getting the Clubmiles will being you at the level of Regalia and then you can switch to Regalia without any issues. I received Diners ClubMiles Credit Card today. I am new to CC. After seeing benefits of this card, I came to know that it is useful only if we travel more. I want to know other normal benefits, points as we do not travel often. Is this card suitable for me? Is there any option to change the card? Nanditha how much credit limit you got with diners clubmiles ? b) Does DINERS CLUB MILES CARD INTL have the same rewards redemption catalogue as does the hdfc Diners Club Rewardz card ? I want to know other normal benefits, points as we do not travel often. Is this card suitable for me? 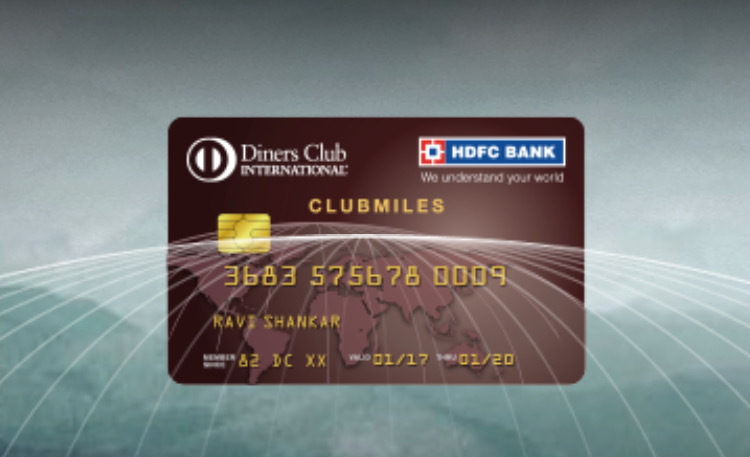 Hi Rohit, Diners Clubmiles card is definitely superior to diners Rewards card. But the value of rewards is very less when u redeem from the catalog. U can reap maximum benefit od HDFC cards knly if u redeem for travel vouchers. BTW I have one question for u. How did u receive the upgrade offer? For the past 1 year the Credit card Upgrade tab is not ebabled in Hdfc NetBanking… Did u receive the upgrade offer through mail or Call? How did you got it from Diners Rewardz? Did you manually applied though ITR or via Netbanking? I am also holding Diners Rewardz since last 8 months and spent close to 2 lac till now, but in my netbanking section it doesn’t shows any LE or Upgrade option. When I applied online, I got a call from the customer care. They offered me Regalia and Diners club premium. However, I am interested only in ClubMiles because of better mile reward. I told them that I want ClubMiles and they said the card is no longer being issued and for my salary (30% tax bracket) I only get DC premium. The CC lady has no idea about their own cards when I asked about the Jet Airways Signature card. Baffled by this, I asked their customer care on Twitter regarding ClubMiles eligibility. They didn’t answer the question but just sent me the link to the credit card page. I replied back again telling them the whole story and they suggested to write an email. I feel like I better take the JetAirways AMEX card instead of circling around HDFC. I would say, drop by your nearest HDFC branch and talk to a RM or the BM. At the website, they have mentioned eligibility as salary 30k per month or ITR of 3.6 lakhs. Why would anyone prefer diners premium over diners clubmiles, where the features are almost same but premium is costly by 1500 bucks annually. Please tell if a person is eligible for clubmiles if he has an gross salary of 55k(net45k in hand), having 4 credit card already ( with a maximum limit of 90k and maximum 3 year old). Your Salary is within their requirements. However, if one of those 4 credit cards is an HDFC, you will not be eligible since they do not allow 2 credit cards unless you are a preferred/imperia customer. Generally, the best way to apply for a credit card is through your RM or your branch. How to redeem rewards points for dinners club miles card? Stupid HDFC people rejected my upgrade request from Regalia First to Diners Club Miles. Reason : As per HDFC, regalia first is a higher level card, and I am not allowed to downgrade my card. What the hell. Now I am thinking of closing my HDFC card as it will take some time for me to be eligible for Diners black. Why dont you try talking to your RM. Generally they have the power to do this. Sadly, I don’t have a RM. From my experience, it’s not wise to upgrade to Diners Club miles from Diners premium, if you are not going for points’ redemption for airmiles. But, it would be good to upgrade to Diners Club miles from Diners Rewards. Got Diners CLubMiles as LTF from Diners Rewardz. But the embossing ink is in silver colour whereas the website shows gold embossings in the card number and all. Can any one else plz confirm whether their card number and name engravings was done with silver embossing or gold colour. Hdfc regalia first or diners club miles which credit card is better for complimentary lounge access? I do not have any HDFC cards but i have 2 cards from other banks, can i get this card LTF. Does HDFC waive off joining fees and annual fees? Except Jet cards, Diners Black and Infinia all other cards are LTF in HDFC provided you have a Smart buy bill in the card or Add on card etc.. Except Jet Diners Black card, every other card has spend based renewal fee waiver too. Dear Sharath, Thank you for replying, what is meant by Smart buy bill? please let me know. It was a Typo. It’s Smartpay where you can pay bills like Electricity bill, Postpaid mobile bill, etc..
Its any utility bill payment like Insurance premium etc. First you register it via smartpay on your cc and then the premium or any utility bill gets paid automatically on due date and charged to your cc. Or else take addon card in any of your family members name. Received 10X points for February spends offer today. Massive in-pouring of points. Birthday 10X offer spends points are next ! Can i get the clubmiles credit without annual fee?? Like lifetime or no joining charges. Its available as LTF if you attach a insurance policy, a telephone , electricity bill etc or take an addon card. Guys, Dinner works on amazon??? i recently taken Dinner’s club miles along with my Regalia First and tried on Amazon. but it is not working. Yes, it works like a charm on amazon. hey Sid, how are you? back to your page after some long absence since Dussera… just today got to know about this new card, exciting… good to see Avios included as point transfer partners. One way from Australian cities to HKG/SIN is just 20k avios in Y, 60k avios in J. So 5k DC points in a months, and within a year, you’re off to a memorable biz class one way flight on Quantas or Cathay. For domestic flights another good addition is Vistara, it takes lesser points for a domestic Y ticket than AI or Jet. Provided, you are from that city where UK has it’s service. 4)Standard Chartered Super Value Titanium. After repay the amount which i spent from hdfc Dinner club mile credit card,Will l get again credit amount for the next month? Hi I recently applied for Diners black card instead HDFC gave me Club miles card. Should i use this card and hope for upgrade? Has anyone tried converting the reward points to air miles? I have submitted the request for converting Clubmiles reward points to Club Vistara Points, but it’s been a week and I still have not received the points. People had told that they were able to access the lounge with diners premium even though it wasn’t officially allowed. Has any1 been able to do the same thing with this card? I have a HDFC Regalia first card with a limit of 2.91 L. I wanted to move to Diners clubmiles card as it has better reward point conversion rate (0.5 rs per point compared to 0.3 ). I also attached my payslips to show that I meet the eligibility criteria. When I filled the conversion form and sent the request to their Chennai office, it was rejected saying downgrade from regalia first to clubmiles is not allowed. I found this very confusing because I believe clubmiles to be above Regalia First. Any ideas on this? I suggest upgrade to regalia or diners premium instead of trying diners black. And from their to diners black. That will be easy. I have a money back card from over 3 years and it was simply replaced after expiry with no automatic upgrade. This money back card has Limit is around 1 lakh. What would be ideal upgrade for me, considering I have regalia first and diners club miles are the only options available. Expectation: to have better reward points than my existing one. How do I get Diners CLubMiles upgraded from Diners Reward? I had applied for Diners Clubmiles 7 months ago but got Diners Rewardz instead. When I contacted branch, they said that hold this card for 6 months and you will get upgraded. Now, I am holding Diners Rewardz from last 7 months and spent close to 1.5 lakhs on this card and wish to upgrade. Netbanking doesn’t shows LE or upgrade offer. What shall I do now? Shall I wait to get automatic upgrade offer or shall I request it manually? Please help me as I have to make some big ticket purchase online and do no not want to miss out on 13% reward rate offered on this card. Any suggestion from Clubmiles card holders? @Sid what do you recommend? Nikhil I got my wife’s business moneyback credit card upgraded to Diners ClubMiles by submitting upgrade form to my branch along with 2 years ITR. I am really happy as as I will get 13% value back and acceptance has also increased by leaps and bounds. It got accepted in ( small stores ) POS of HDFC, SBI and UNION Bank. How much ITR did you file for last two years? Nikhil she did not paid any income tax and income was around Rs. 3 lakhs for current year and same Rs. 3 lakhs last year. My wife’s ac. was showing automatic card upgrade offer to Regalia First. Instead of Regalia First I tried for Clubmiles and it turned out to be extremely difficult to get Diners ClubMiles for us. We submitted documents to our branch but nothing happened even after 1 month. Than I raised an email complain asking what happened to my request. After few days the branch guy and BM gave me a phone call and asked me again for documents ( I can see the tremendous pressure on them ) and after that within three days my card got upgraded. Oh. So finally you got upgraded, Captain. I have also submitted my income docs to the branch. Hoping to get a upgrade soon. Btw, I still have a concern, the 10x program. if its not extended, the card would be of no use except intl lounge access. What will happen to the 10x rewards program post Dec 31,2018? Looking to get this card but if 10x goes off in Dec then all diners cards will become quite devalued isnt it? I have Clubmiles with 132000 credit limit and monthly usage ranging from 50000 to 95000, with foreign swipes as well!! It got it upgraded from moneyback to clubmiles 3 months back by sending documents to Chennai branch, and I have been paying in full well before the due date, still, I never get limit enhancement offers or jumbo loan offers. And the same was the story with moneyback card as well!! is there anything I can do to get limit enhancement offers or card upgrade offers?? Yes Please write an article for the same. Its really too much confusion. Request the same @Sid or anyone else who have converted their points. I want to convert my clubmiles points to vistara but struggling since so many days. If not separate article, please brief the process here. Conversion may take place anytime between 3 days to 10 days or more. Use miles for Business class or for economy during peak season. Thanks a lot man. Finally!!!!! I also had doubt about Vistara FF expiry, but as you suggested, I will call the airlines and ask about expiry. I have recently got HDFC Club Miles card in Dec 2018. There was an offer going on for 2000 BMS voucher. I’m yet to receive the same. Now the question I have is, under HDFC netbanking I see an offer to get 2k worth of Amazon voucher on applying LTF Card. Where I can see Regalia First and Club Miles card. Can you please confirm if HDFC would report a seperate account in CIBIL/ Any other credit score institution or will it be a same account. Is it advisable to get another credit card so soon, having said that I have a pre approved offer and got a card last month. You might see another pre-approved credit card offer for few more days after getting the first card. But it would not be approved even though you apply as you have already received a HDFC credit card and that too very recently. It is may bevisible just because of delayed information sync between their various applications. Was this BookMyShow offer was also valid for Credit Card upgrade? I upgraded from Rewardz to ClubMiles during the offer period by manually sending upgrade request from branch. I don’t think so. Very specifically they had written that the offer will be applicable only and only if you use the link from the offer banner. Today i received an Add on card for a family member from HDFC Bank. Now I don’t know how this works. Card Number, Expiry Date and cvv are same in Primary card as well as Add On. So does that mean that PIN is also same in both the cards. Customer care said that i need to generate PIN from ATM though i am not taking that as everything is similar. Also i asked them about lounge access, they mentioned i will get total 6 lounge access which i can use in sharing between both the cards. Yes, I have one too. Everything is same except the PIN. OTPs and trx messages will only come in primary card phone no. Oh thanks, I really wanted to know about the pin. Is there any way to generate the pin online or over call. You should get the physical pin by mail from hdfc for the add on card. Can take upto a week. I was wondering if someone could shine some light into the registration process of FF memberships numbers to the HDFC regards redemption page. I just got my HDFC Times Titanium card to a Diners Club Clubmiles card and went into the FF redemption page and tried registering my Club Vistara number, but it asks me for a date of expiry or something like that from a Club Vistara card, but I just have the CV account number. Actually it would be great if Sid could do a write-up on the way these redemption partners work. Atleast mine says valid till November 2019. Anyone who has converted points to Club Vistara, please advise – what have you used as the FF Expiry Date. I am unable to find the expiry date on the Club Vistara portal. I have got the Silver Tier membership from SBI Prime card. But nowhere I could see the expiry date. One difference I’ve noticed in the terms and conditions between Diners Premium and Diners Club Miles is the Foreign Currency Conversion fee. Diners Premium = 2% . Diners Club Miles = 3% . In the last page of the terms and conditions, it is mentioned. While transferring points to Club Vistara, is it a requirement that Name of the cardholder must match name of the ClubVistara account? If I want to transfer CV points to my dad’s ClubVistara account, is it possible? Can someone please confirm Foreign Currency Makeup fee on Diners ClubMiles card. Is it 3% or 2% ? Also, do Ali express supports this card? It’s 2% and yes Ali Express support this cards. Thanks but I called them they said 2% is for Diner Club Black and 3% for Club Miles. I need confirmed info about Club Miles as I really want 2% card. Now I’m really confused. No site on internet has latest information on this and also nowhere in there official site. Yes, i cross checked in my last transaction it is 3%. I though i read 2% in the booklet that come with card. Can anyone confirm, how much time it takes for Krisflyer miles to reflect into Krisflyer account after redeeming HDFC Clubmiles Reward points on their redemption portal. 1 RP = 1 Krisflyer mile. By the way, to inform you, Krisflyer is running an offer right now where you require just 50% krisflyer miles to redeem flight tickets during entire March 2019. Eg. Bengaluru to Singapore is 18500 + taxes. But, during offer, require just 9250 miles. I transferred to JPMiles & the transfer took 2 days. No reason to believe KrisFlyer would be any different. Currently using LTF Diner’s club premium card, i have have an option to upgrade my card to ClubMiles in netbanking, however i rarely travel and only storing my points. Current limit is 1.2lakh and preffered customer. Should i upgrade or not? will i get more options down the road ie 6-12 months or will i have to upgrade right now then only i will get more upgrade options in future? What is the procedure to get it LTF? Take the upgrade, for 1.2 lakh limit they aren’t going to offer Black. Take this upgrade and opt for all the credit limit Enhancement you receive in future. Hi, i got a general HDFC bank account, I am holding since a year and since some months keeping an average monthly balance of 1.5 Lakh. How can i upgrade to classic banking OR preferred banking? Reach out to the nearest branch. If they find you eligible, fill the respective banking program form and get it done. Hi, i also want to know charges if i fail to maintain minimum 1 lakh rupees balance after the classic upgrade. No charges. If you fail to maintain 1 lakh rupees. You a/c will be downgraded to general account. Is this the best card to accumulate miles if we can spend on the 10X merchants? I am already holding amex platinum travel. Check out new credit card upgrade forms from HDFC, they have now stopped giving Life Time Free and Diners Rewards and Premium is removed from the list. Removal of Rewardz and Premium means now Clubmiles is their entry level DinersClub card. Does it signals a devaluation on Clubmiles in near future? No LTF means they are becoming less aggressive on their Credit Card portfolio. So, 10X Party getting over post 31st March? They might want to hold to LTF offer only for new customers maybe. Upgrade option with LTF would have reduced their profit margins since people who request for card upgrade are pretty savy in credit card game. Link? I am still seeing the life time free option. Can’t share link here, in Google search write “Hdfc forms”, select first link and checkout upgrade forms under credit card.